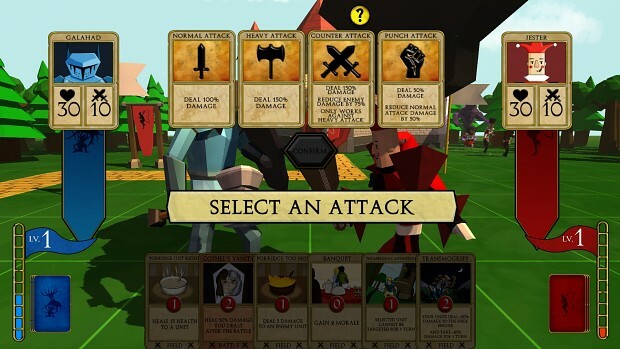 Right to Rule is a Multiplayer Turn-based Strategy Game, with a low-poly visual style, currently in development by Ouroboros Games. Players will be finding and versing each other in a Siege based game mode. One player will play as the Legend's Faction who is lead by Merlin and his band of knights, the second player will be controlling the Fairy Tale Faction lead by Lil' Red. As the Legend's faction, you will be escorting your siege engine as it travels towards the Fairy Tale castle and trying to prevent the other faction from destroying it. The goal of the Fairy Tale player is to destroy the siege engine before it can break through the castle gates. Players will be utilizing their units and cards to capture key points on the map and combat the opposing team.